RTBC – 2017 – Event – A Big Thank You! Thanks very much for everyone taking part of the Race Track Business Conference – 2017! A big gratitude to the speakers who presented their expertise and insights about the business of motorsports. The “story behind the story” from these industry leaders kept it exciting. Thanks for Jay Frye – President – Competition and Operations – IndyCar for his vision fo r open-wheel racing. A special shout out to the attendees who listened intently and asked intriguing questions keep the dialogue going. The social media posts, tweets and photos were great. Remember to reach out to each other during the year for ideas and support to move our industry forward. A big thanks to our sponsors Race Monitor, Sports Insurance Specialists, Smith Fence, My Race Pass, Black Book Motorsport Forum, SPEED SPORT and Who Works In Motorsports. RTBC is proud to support the Riley’s Children’s Foundation – to help their efforts in conducting lifesaving pediatriac research and enhances treatment for patients with family centered-centered services. 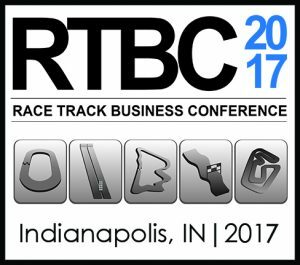 Happy Holidays and thanks for making RTBC keep on track in Indy!